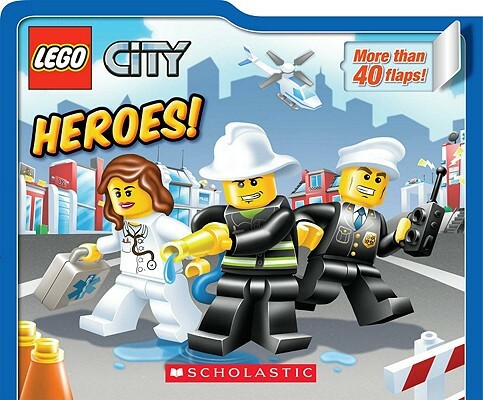 This book is very different from the rest of the books in the Lego city series. Instead of being a reader style or a sticker book, it is an oversized board book. It has over 40 flip and reveal flaps. The fantastic thing about the way this book was created is that when the flaps are flipped the pictures are still complete. In many flap books the flaps when turned, break up the picture. In this one they are designed so that as each one is flipped it continues the background picture. The illustrations are seamless and you can flip one, some or all of the flaps and have a series of different pictures to look at on the same page. The pages are the bus depot and downtown, police station, fire station and hospital. Even though the author and illustrator are different from any of the other books in the series, there is still a continuity of look and feel that fit them all together nicely. Children of all ages will love exploring this book and seeing the different combinations they can come up with on each page. 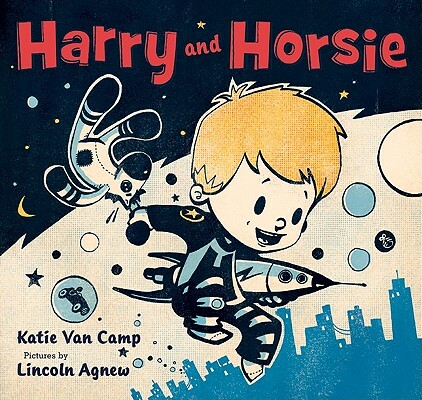 Harry and Horsie are best friends. And then one night, Horsie gets trapped in a bubble and floats off to space. Harry must rescue him. Based on Dave Letterman's son, the story is charming and fun. Illustrated in a classic style it will take parents back to their own youth. It is almost like a Calvin & Hobbes without the cynicism. 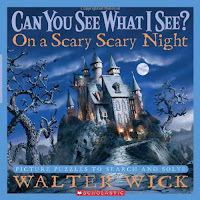 My kids loved this story on first reading and asked for it again and again. It will soon become a family favorite. Van Camp and Agnew have created a great story and hopefully there will be many more adventures with Harry and Horsie to come. Nick Bland's books have been favorites in our home for a few years now, from the fun and funny A Monster Wrote Me a Letter to the hilarious The Wrong Book, and the very charming I Lost My Kisses. 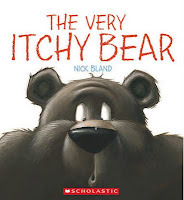 But our first introduction to Bland's work was the wonderful, The Very Cranky Bear. So when a new book came out called The Very Itchy Bear we had to have it and read it. 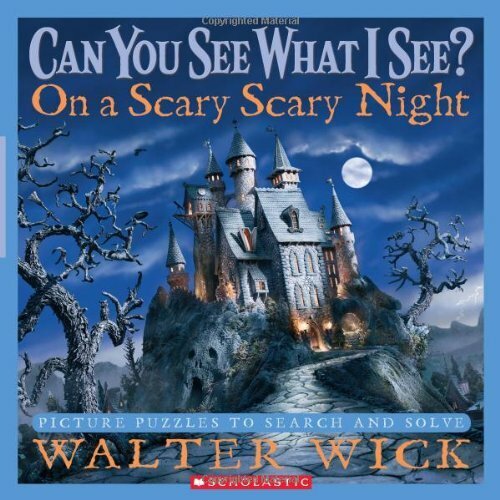 My son loved it the first time I read it to him. He had to hear it about a dozen times in a row, then he went and found The Very Cranky Bear so we could read them alternately about another 7 or 8 times. Bland's books are all amazing and this one is great fun. This book is full of amazing illustrations and story, tying them together, sure to entertain the young and young at heart. This book was a wonderful surprise. It is so synthesized and succinct, and yet full of useful information. The format also was really unique. 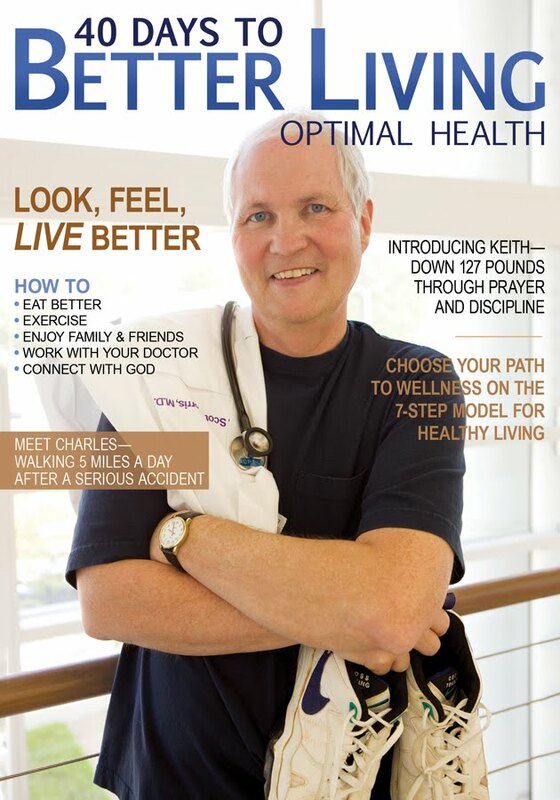 Written as a 40 day guidebook to better health, Dr. Scott Morris, the medial and spiritual leader of the Church Health Center in Memphis, has created an easy to use guidebook. Each week begins with a testimony, a story from someone who has made changes in their life, but the cool thing about these stories, is they have not all reached their goals, but have made progress and are working hard to make the changes they want to see. Then each day begins with a morning reflection. Followed by a few areas for some short journaling, you can also track your physical activity. Then there are some guiding questions for daily practices in the areas of work, emotional life, family and friends, movement, faith life and nutrition. Each day is a 4 page spread, starting with a morning reflection/meditation, followed by the daily practices sections and then an evening wrap up. This book will be one someone could work through again and again and make more progress towards a balanced life each time. They will find a balance between mind, body and spirit. This was an amazing book that anyone looking to live life and live it to the full could benefit from reading. 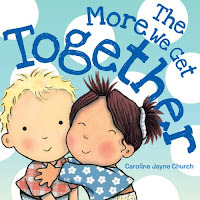 Caroline Jane Church's books are some of my children's favorites. She has authored and/or illustrated over 90 books. I doubt we will get to read them all, but we have loved all we have read. This new series is based upon known nursery rhymes with the first two titles being The More We Get Together and You Are My Sunshine. With shiny metallic covers children are immediately attracted to the books, and Caroline's characteristic illustrations, children's faces and actions, will draw in young children who will love to have the books read again and again. And children will also sit and flip through them by themselves over and over again. The 12 pages in this board book convey so much emotion and fun, children will love them. Karina Fabian is an author of science fiction and fantasy, comedic horror and whatever other genre fits her fancy. She writes from flash-length stories to full novels. In non-fiction, she had written writing classes, articles on parenting, and a devotional. You can learn about her varied works at her website Fabian Space. She has also been very involved with the Catholic Writers Guild Since it's inception, and has served in a number of positions since it's inception. 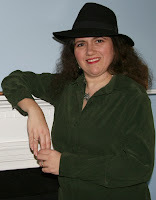 She is passionate about Catholicism, Fantasy, Fiction and writing in general. So let's go on a wild ride as she answers 20 questions about reading, writing, life, and faith. 1. If you had not become a writer what do you think you would be doing for a living? LOL. I'm not really doing this for a living right now. To be honest, I'm not sure what I'd do. I was in the Air Force because I had an ROTC scholarship, but I was glad to get out when my first child was born. I love being a mother and wife--and Rob supports us very well--but I also go nuts when I am ONLY caring for family and home. However, since I did fall into writing so naturally, I don't know what that would be, at least if I had to make money at it. It's kind of scary, really. I'd be content to do volunteer work, wherever I was needed. I'm an organizer. 2. When did you know you wanted to be a writer? How did you nurture that dream? I've always loved writing, but in 1995, I decided I really wanted to work at it. Somewhere around 2000, I decided to make it a career (or maybe an avocation, since "career" implies a certain income.) The first thing I did was dedicate to writing--I gave up reading for Lent, took up writing. Since then, I've made myself write or do something related to writing every day, even if it's just a sentence before bed. I seek opportunities to motivate and challenge me--I especially like writing for anthologies. I attend and teach at writers' conferences online and live, and I social network and market my works. 3. Who were some of your biggest supporters and contributors to your early success? My husband, without a doubt. He's my idea man, my first source and my logic check. Then my writer friends--we support each other, whether it's idea swapping or encouragement or nagging. Finally, my publishers and editors who take what I always think is my best work ever and make it even more amazing. 4. What advice do you wish an artist had passed on to you early in your career, which you only learned through experience? I was blessed to get a lot of good advice early in my career, so I have a hard time answering that question. The one bit of advice I STILL wish I could get is how to take my marketing efforts and make them more effective. I know all the general stuff, but not how to tweak them to work for me, if that makes sense. I can tell you what writers influenced how I look at a story and the world, but my writing style and format? I'd have to leave that to the critics. I did one of those analysis things online, and for the same section of a story, I had three or more disparate authors cited as "Your style is like…" I've been favorably compared to a lot of famous writers, but then again, who's going to compare you to an unknown? I write in my style--quirky, often funny, with unique angles on everyday things. I have broken convention and tried new things because the story liked it and it was fun. Daydream about it. Write scenes. Giggle a lot if it's that kind of story. When it's next on my list (as determined by publisher or time), I usually have the beginning, the ending and a few stops between. So I write and let the characters lead me through. Get a rejection? Send it on to the next publisher. Get an acceptance? Do a happy dance and tell all my online friends. 7. Do you use a playlist when writing? Are certain books written while predominantly listing to the same music? I seldom have music while writing. It distracts me. On rare occasions, I will make a soundtrack for my novel, like the spy music CD my husband put together for me when I was writing Live and Let Fly. If I do that, though, I need instrumental music. Words get into my head and throw off my typing. 8. I once heard Madeleine L'Engle state that her characters were real to her and almost an extended part of her family, she said once that at the dinner table she sat up and stated "Meg just finished her PhD." Are your characters real to you, do you ever get glimpses of what they are up to now, or once you finish a book is that it? Depends on the story. I have a few that are one-story wonders. Others continue to grow in my mind. It's kind of frustrating, because I write in multiple genres and many worlds, and I can't record their stories fast enough, so I have to pick one while the others live their lives. 1. Neeta Lyffe: I Left My Brains in San Francisco. This is the second Neeta Lyffe book, and was requested by Damnation Books after I finished Neeta Lyffe, Zombie Exterminator. 2. Just finished Discovery: Three spacefaring nuns must uncover the secret of an alien device before it destroys the minds of their fellow crewmembers. 1. Witch Androvitch and the Boy Who Wouldn't Bathe. 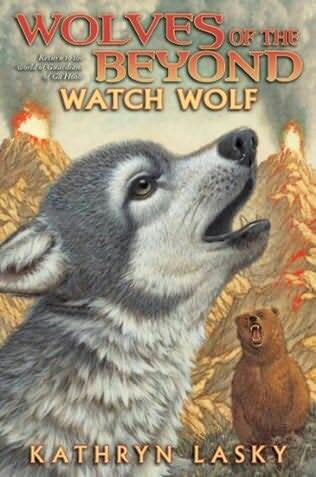 This is a children's book, but it's written at too high a reading level for the story, so the publisher asked for a rewrite. 2. "Christmas Spirits: From the Case Files of DragonEye, PI" for a serial during Christmas. You'll find it starting mid-November at Fabian Space. 1. Gapman: a superhero spoof in the DragonEye, PI universe. 2. Damsels and Knights: When a griffon takes human form and goes undercover to track down a murder, she doesn't expect to fall in love with a human--one she hated as a griffon, no less. 10. What does your typical day or week look like for our mind, body and spiritual development? Do you try and keep to a specific regime or schedule? My typical week is a stew of novel writing, marketing, blogs, chatting online with friends, doing work for the Catholic Writers' Guild. I pray daily, often in the car while driving the kids around. I care for my kids, though as they get older, I am moving more into chauffer/psychologist phase as opposed to nursemaid/playmate. It's a good shift! I have set chores for myself and the kids so the house stays nice (usually). I adore my husband and spend as much time with him as I can. I practice haidong gumbdo, though not as often as I should. That's Korean sword martial arts. Lots of fun. 11. What of your books or published stories is your favorite and why? The one that's out…until the next one comes out. I love all my books. I write in a variety of genres and styles and each has its own origin story as well as its own story. 12. What of your books was the hardest to write and why? Discovery, hands down. I started this as a NaNo project in 2006, but could never get it to finish. After much effort and discussion, I realized the story was too small and not science fiction enough. However, then it became so big, I was intimidated. The faith factor is HUGE, and I didn't want to preach, and the science was beyond my then knowledge. (Thank heaven for subject matter experts!) Also, the cast grew to 31 named characters. Then, as I would get going, the computer would die, taking the story with it. (Even the backups, for which I have no explanation.) I just finished it this month, almost five years after starting it, and I am so proud and relieved! 13. Many of your books are available in electronic formats but with that comes bootleg distribution. What are your impressions of ebooks and the distribution of them through torrents and other illegal means? It happens. It's not legal and it's not fair, but it happens. I don't go out of my way to look for bootleg copies of my book, but I wish folks would grant me the honor of paying for my work. If I were a chef, I wouldn't be expected to distribute my product for free, so why do they expect authors to do so? 14. Some authors monitor torrent sites and have their publishers contact them to remove their content. Do you do so are have someone do so for you? I have never monitored a torrent site, but a few times I've come across (through Google alerts) a site that has bootlegged my book, and I do let the publisher know. I think the publisher and I both deserve to be paid for our work, even with electronic books. There's a lot of up-front money that goes into creating a book, even the e-version. Libraries, of course, are different because they lend them and get them back and monitor the book's whereabouts--and they bought it first. 15. I once had a university professor state that the true goal of a university education should be to teach one to learn how to think. What would you state should be the goal of higher education and why? I'd love to see that as their goal; unfortunately, I don't see that happening, and in today's world, we need technical skills to get into the workforce. So that has to be a consideration, too. 16. If you could only recommend 10 books to a reader looking to be a well rounded and whole person what books would you suggest? I suppose I could have put a romance in there, but a well-rounded person can live that for themselves. 17. What are some of your favorite contemporary religious authors to read? I don't really read "contemporary religious" books. I'm pretty mainstream in my reading when I do read, but a lot of my favorite authors (see below) incorporate faith into their writing, which I find refreshing. What do I mean by "when I do read?" Busy as I am and also because I have an obsessive nature, I can either read or write. I cannot do both easily. So usually, I am writing, with spurts of gorging on books after each book is done. 18. What are some of your favorite fiction books and authors now? Authors, in no particular order: Terry Pratchett, Jim Butcher, Fred Warren, Michelle Buckman, Ann Lewis, John Desjarlais, and whoever catches my eye the next time I'm book shopping. I hate this question because in general I don't re-read books--there are too many out there I still haven't read. However, the most important books I'd take are the Bible, a Roman missal (with all the prayers, etc), a couple of survival guides, and a scrapbook of my family. For everyone: Write. Learn. Get crits. Rewrite. Submit. Accept rejection; submit again. Rinse and repeat. 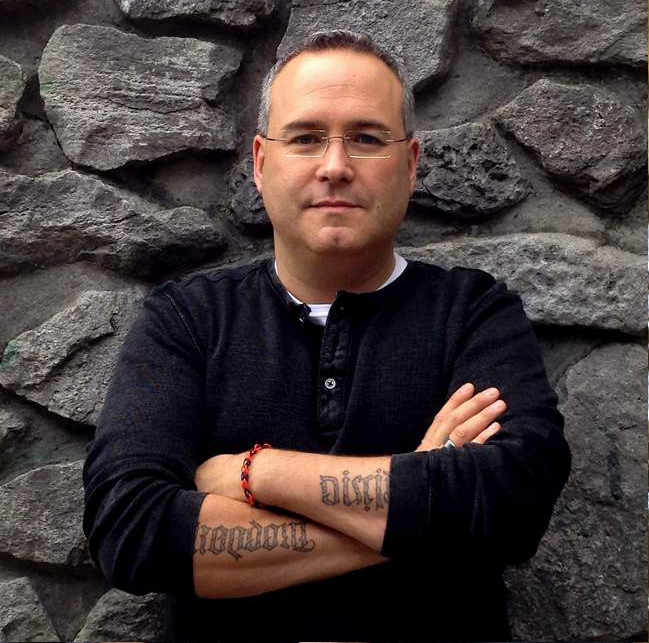 For those wanting to incorporate faith in their writing: Start by knowing your faith. Know what you believe and why. Then learn how to express it through your characters without preaching. Faiths are complex, and humans don't see any doctrine as cut-and-dried and are suspicious of anyone who tries to tell it that way. Do not narrate faith and do not allow your characters to narrate or dictate faith. Thank you Karina for taking the time to answer some questions for the Readers at Book Reviews and More and for Catholic Dad's Online. I am sure it was an eye opener. In many ways Karina is like a catholic cross between Christopher Moore and Chuck Palahniuk. He writings are quirky fun and wlways worth a dive between the covers. This series is absolutely riveting. The story runs at an amazing pace. The details of the Underland geography, scenery and creatures are amazing. 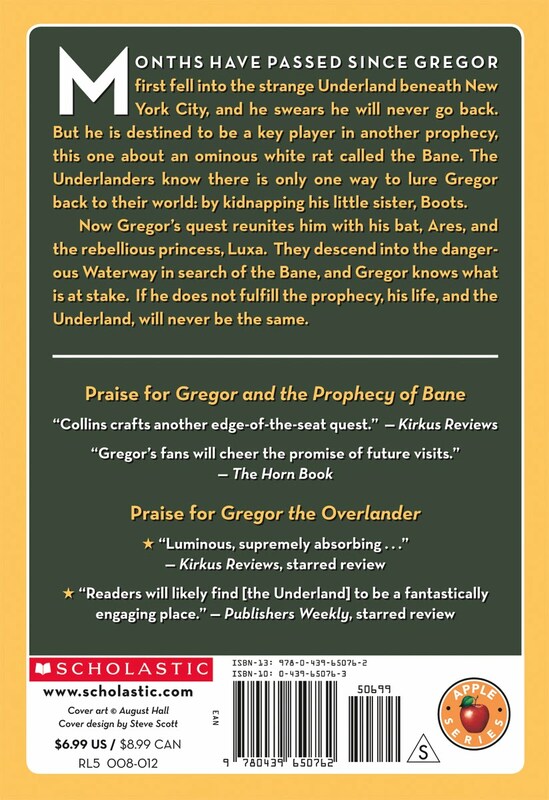 It has only been a few months since Gregor, his sister and father have returned from the Underland to New York City. Christmas is fast approaching and Gregor is doing what he can to help his family out. His father has a strange illness he brought back from the Underland and has not returned to teaching. His mother is working hard to support his family. His grandmother's health is still ailing. Their kind neighbor Mrs. Cormaci has been hiring Gregor to help her out on Saturdays. He always brings home some money, a lot of food and usually some hand-me-downs for the family. But things are still tight and Gregor cannot stop worrying about what will happen next. To make the Underland a tomb. Will the warrior drain your light? What could turn the warrior weak? What do burning gnawers seek? Who holds the land of Under up. Die his most essential part. Die the peace that rules the hour. Gnawers have their key to power." It is not as clear as the previous and open to more interpretations. 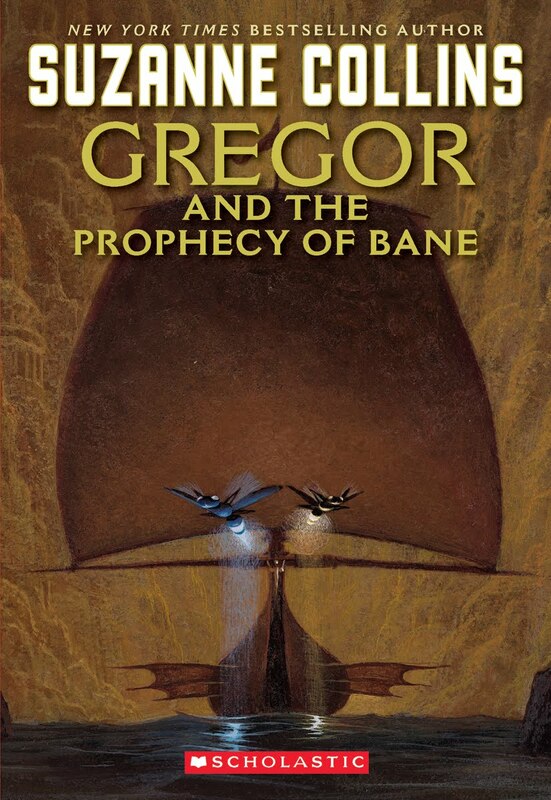 All Gregor knows is what is at stake - his life, his sisters and all of Underland. That is a lot to put on the shoulders of a teen-aged boy, but Gregor manages and even seems to thrive under the pressure. This is a great book in an amazing series. Kathryn Lasky, in the forward wrote: "I have always thought that writing is not a solitary performance, but a collaborative - one between an author and the past-what she has read, listened to, and absorbed. The shoulders of giants are not just reserved for scientists as Newton suggested, but writers and artists perch there as well. If I have overlooked in my acknowledgments any giants, I apologize." She might be standing on the shoulders of giants but I am sure generations to come will consider her a giant that they stand upon. 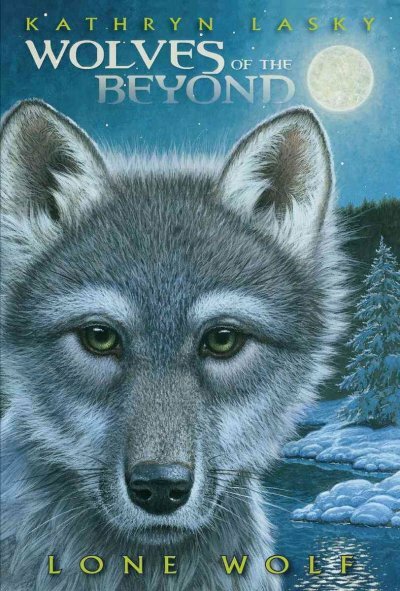 This second book in the Wolves of the Beyond series is incredible. I literally could not put it down. I have been alternately reading this series and the Guardians of Ga'Hoole books at the same time. Both are amazing series set in the same world. 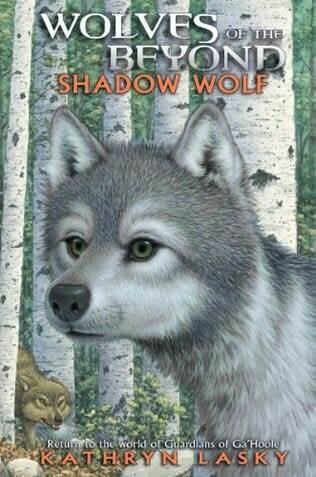 According to Lasky there will not likely be more books in the Hoolian series, but there is a fourth announced for the Wolves and hopefully we will get many more tales of the Wolves to read. This book continues the story of Faolan. He has joined one of the packs as a Gnaw wolf. Faolan has a great heart and the other wolves know there is something special and different about him. Some respect and appreciate that. Most are superstitious and fear him to some extent. Faolan, not being raised in the pack, also seems to keep making mistakes. But now Faolan has an opportunity, for the Watch Wolves need a new member and a competition is underway, a gaddergnaw, to determine the best known wolves from the clan. But Faolan has an enemy and one who is determined to destroy him. The characters are amazing, and the story wonderful. While reading this book, I kept finding myself reading after I should have put the book down, not wanting to come back from lunch, or go to bed, in order to find out what would happen next. It is an incredible book by an amazing author. 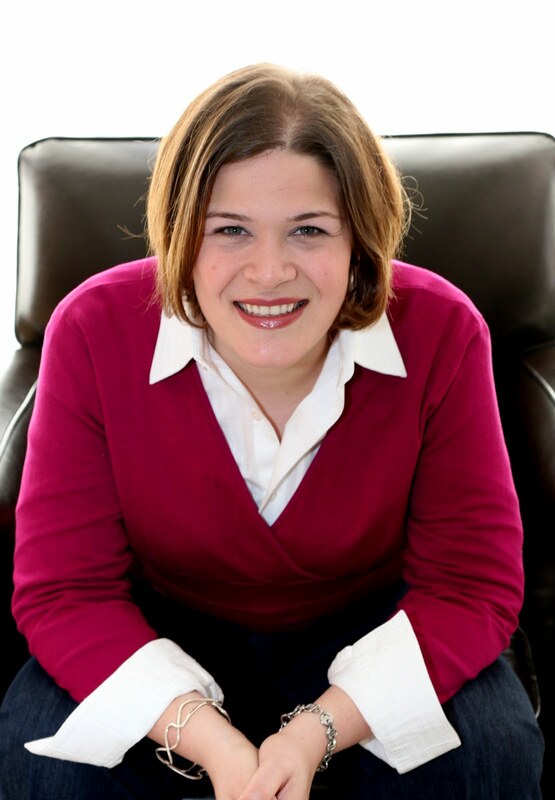 Ellen Graf-Martin has over a decade of experience in marketing and publicity. Primarily in the Christian market place, but since going out on her own has branched out. She is an avid reader and always has a book she wants' to promote and suggest. She usually has piles of books on the go and is dedicated to promoting the books and authors she appreciates. 1. With a background in Cross Cultural Communications and Criminology how did you end up working in the publishing industry? My Cross Cultural Communications internship actually took me on this path - starting me out with an organization called OM, which had it's own publishing division and was committed to making great available books to people countries around the world that were unable to affordably produce or import books. I joined their publishing division in the USA in 2000 and worked in editorial and marketing roles over the course of 4 years. In 2004 I moved to Ontario and joined a national inspirational book distributor, and worked there until September 2008 as Marketing Manager and then Manager of Media & Consumer Relations. At that point I started out an entrepreneurial journey, founding Graf-Martin Communications - an agency specializing in literary publicity & marketing, most notably in the inspirational products market. 2. What is your favorite part about working in publishing? I love connecting readers with a fantastic book that equips them to grow personally & professionally or just be wonderfully entertained! This is also an industry that people stay in - I have loved the opportunity to work with former colleagues in new roles and different companies over the scope of my career! 3. What is your least favorite part about working in publishing? Tough question - perhaps, as a publicist, it could be cranky, unaccessible, diva-style authors. Overall, media consumption changes have meant that a publicist's workload has almost doubled. It is wonderful when an author understands the 'help me, help you' partnership philosophy. 4. What is the most obscure thing you have had to do while working in the publishing industry? Good question - perhaps the most absurd thing I have had to do was find a specific shampoo and scented candle for an author on tour - or stay up all night waiting for a passport to be hand-delivered by someone on a flight from California to Toronto for an author who forgot he needed a passport to get into Canada! 5. If you could only recommend 10 books to a reader looking to be a well rounded and whole person what books would you suggest? 6. What would you recommend as your top ten all time Christian fiction recommendations? 7. You now hold the title of Founder & Managing Director of Graf-Martin Communications. What does your average day look like in that role? There truly is no average day, but my day may include reading industry updates, making a number of phone calls between television producers and authors to book authors on a television program (and then often re-arranging those same interview segments), connecting with print publications to arrange excerpts from new titles or interviews with authors, coffee, coffee, and more coffee, reading through blog review posts, reviewing new title lists from publisher catalogs, writing book publicity and marketing proposals, joining an author at the Crossroads studios, reviewing publicity efforts and as the managing director - handling all the business elements that keep a small business alive (bookkeeping, HR, etc.). They are long days and long weeks - but I love my job! 8. What does your typical day or week look like? See above - multiply by 5 and add meetings, phone calls and about 150 emails a day to the mix. 9. You formerly worked for the largest Christian marketing and Distribution Company in Canada. After their collapse, what inspired you to step out on your own and found your own firm? Publishers asked me to! When two of the largest Christian & Inspirational publishers in the world ask you to keep working for them, and ask if you'd start your own agency, you take it seriously! This was an under-served market in Canada, and my husband and I really didn't want to lose any traction I had gained in my 4.5 years developing a media & consumer relations strategy for these publishers! 10. What was your favorite marketing campaign to work on and why? I don't honestly know if I have a favourite! If I had to pick, I'd say the campaign for Operation World by Patrick Johnstone & Jason Mandryk. It was my first full campaign and I learned a ton from this first campaign. And I'd happily do it all over again! 11. What is the hardest part of working in publishing and marketing? 12. I know some Canadian authors who are frustrated that eBook rights are so different in Canada compared to the United States or the UK. How long do you think until eBooks become universally available? Don't have enough information to answer this properly. 13. What were some of your favorite books and authors as a child? I read incessantly - don't know if I had favourites! I read everything and anything! My 2nd grade teacher has said that she is not at all surprised where I landed up in my career. 14. What were some of your favorite authors in your teen years who helped shape you? Meeting Guelph author Jean Little at the Vancouver Island Children's Book Festival made me realize that authors were real people - and may have helped encourage my launch into this industry. 15. Who are some of your favorite authors or books now? Gosh - this is hard! I read between 1 - 3 books a week, and like so many different authors and genres. I'm excited about some of the beautiful, profound and authentic female voices coming out of the (in)Courage blog world - can't wait for Emily Freeman's new book, Grace for the Good Girl, to release September 2011 and for Greg Paul's Close Enough to Hear God Breathe to release in October 2011. For fiction, Colleen Coble and Julie Klassen are perennial favourites. 16. What are some of your favorite contemporary religious authors and books to read? See above but add this - Max Lucado is a perennial favourite - and has been for years and years. 17. If you were not working in publishing what do you think you would be doing? Working in a non-profit organization in strategic planning, marketing or communications. Tough question (like choosing your favourite children), but they'd include: The Bible Loving God by Chuck Colson In the Grip of Grace by Max Lucado Gone with the Wind & Scarlett Pride & Prejudice Some survival guides since I'm not really an outdoorsy-type person. 20. What advice would you give to someone who aspires to work in the publishing industry? Be humble, flexible, always learning, willing to volunteer and work for free at first (although this isn't the world's most lucrative industry), do hard things, and read, read, read - books, industry reports, industry blogs, anything you can get your hands on. 21. What advice would you give to young aspiring authors and artists particularly those looking to have their art reflect their faith? Love your craft, build your skills, build your platform, join a faith-based writers group, attend a writers' conference, read publishers catalogs to see what books are being published and bestsellers lists to see what readers are buying! And again, read, read, read - write, write, write. Do it because you love it, not because you want to make your life's fortune. Few authors strike it rich, so don't quit your day job (until you've got 5 or so titles that sell well and provide you with a steady income). This is the first in the profile series of someone who is not an author or works for a major publishing house. So thank you Ellen for taking some time to answer questions for the readers at Book Reviews and More. 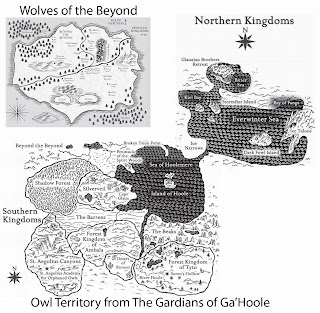 This second book in the Guardians of Ga'Hoole was just as good as the first. Continuing directly from the first, it is the story of our band of owls' journey from the Desert of Kuneer through the Beeks and on to the great Ga'Hoole tree on the island of Hoole. Once they arrive at the great tree, it is even more than the expected. All the legends or myths they had heard as young owls are true. The four friends live together in the same hollow but they are tapped(selected) to train for different specializations. This second installment moves at an even faster pace than the first volume. 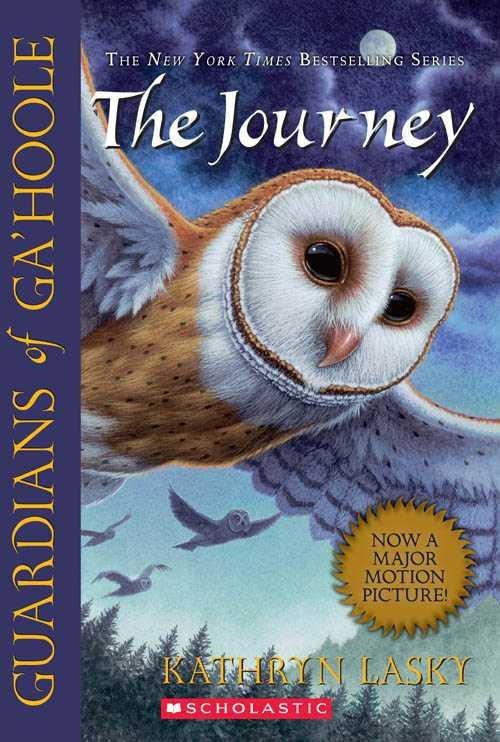 The story races along as the band of owls adapt to life in the tree and as they train and aspire to become Guardians. I know there are 15 books in the main story and two spin-off books now. But if they are all as good as the first two, I have a lot of great reading ahead of me.